Making My 11th Doctor Costume: LFCC 2012 - cosplay Who? LFCC 2012 - cosplay Who? 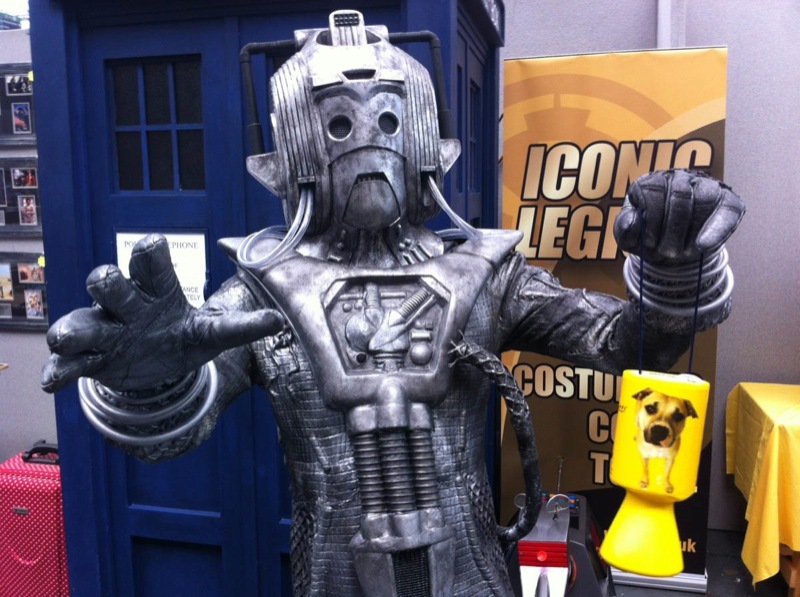 The London Film And Comic Convention may encompass sci-fi and fantasy in all its forms, but there is always a good showing of Doctor Who cosplayers. As I went round I did my best to snap as many costumes as I could. Here’s what I found. 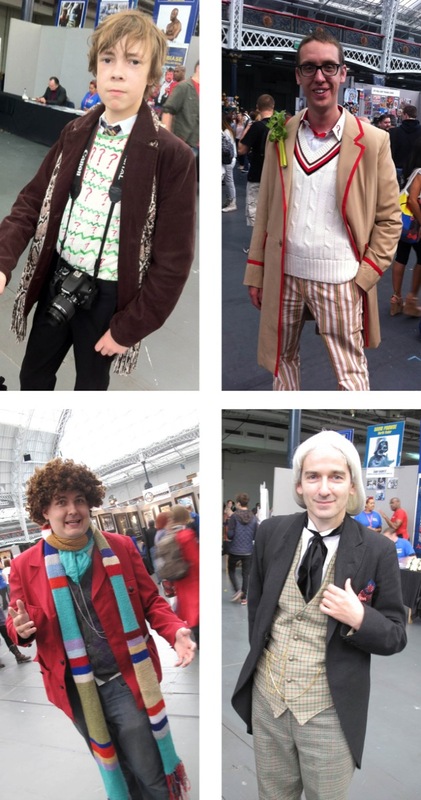 Despite matt Smith being the most popular Doctor of the moment, I did find a number of classic series costumes. Nice to see a young closplayer as the Seventh Doctor; I shan’t say too much about the costume the Fifth Doctor is wearing (since I made it! ); I’ve seen this Fourth Doctor before - he makes me smile; and really cool to see a First Doctor, especially with half the original TARDIS crew (William Russell and Carole Ann Ford) attending the event! 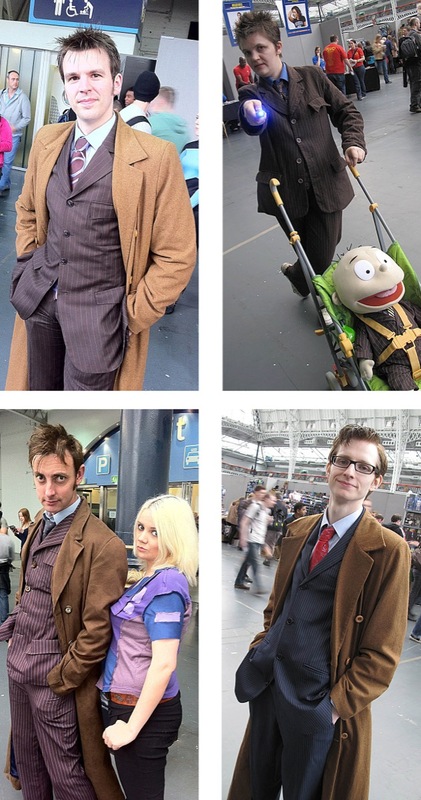 David Tennant star may be on the wain, but there was still a good number of Tenth Doctor cosplayers in attendance, all of them wearing the right suit and tie combinations! I’m still not quite sure what the muppet in the pram was about, but its costume was cool too! The lad in the blue suit had a really good alternative match to the Nina Ricci tie. I was impressed! I also found a group of Doctor Who cosplayers who were raising money for charity. 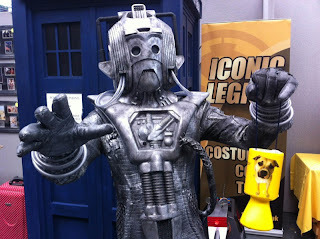 There was a variety of Doctor cosutmes as well as K-9 and a weathered looking classic series Cyberman! 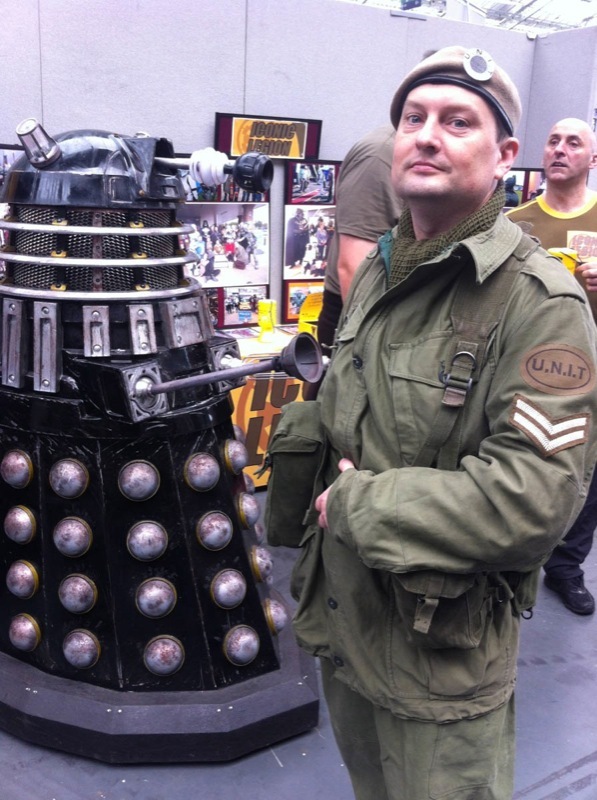 They also had a curious new series Dalek, but painted in a form of classic series colours. 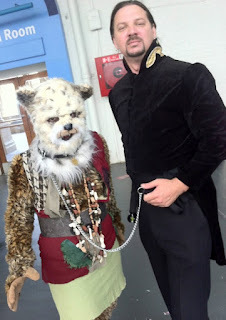 I’ve seen a few of these around and am expecting to see a few more when I attend NorCon alter this year. 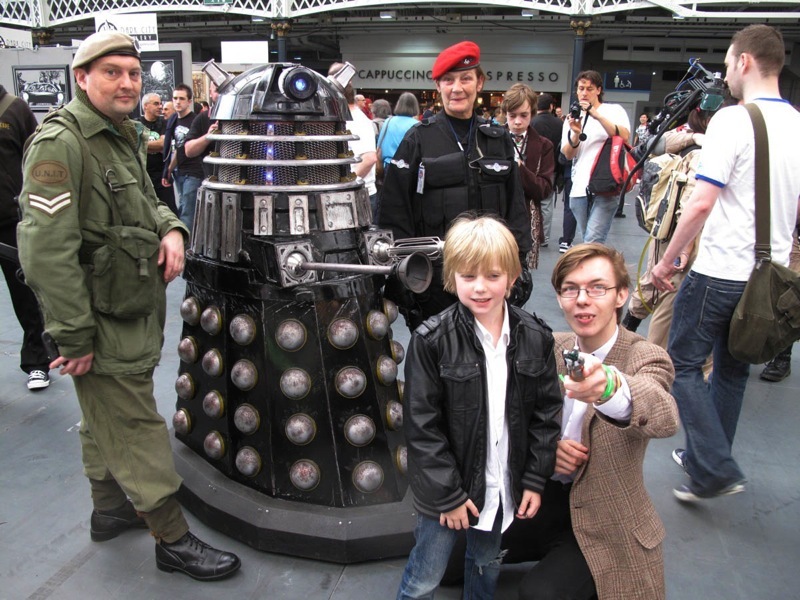 The Dalek was escorted around the event flanked by two UNIT officers - one classic and one new series. I also came across a suitably sneering Anthony Ainley Master in a very nice velvet costume. 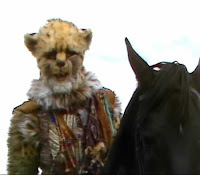 He had Karra from the final McCoy story, Survival (a Cheetah character played by Lisa Bowerman, who now voices companion Bernice Summerfield in the Big Finish adventures). 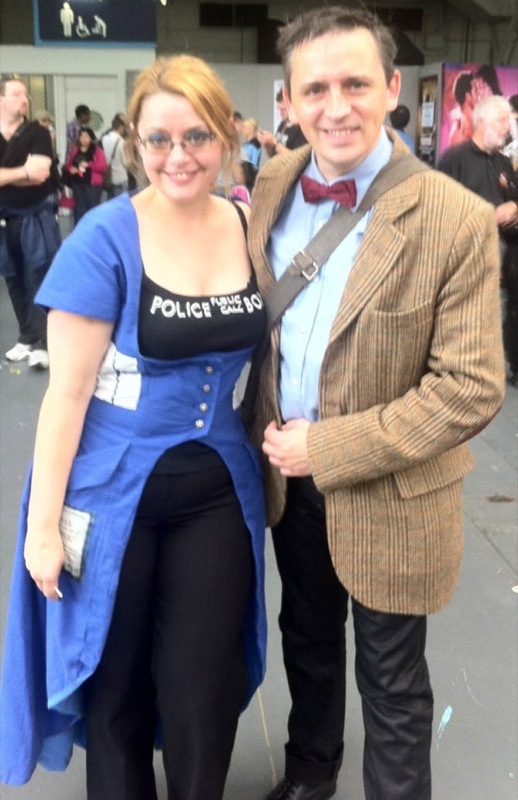 Sadly I think the accuracy of this costume was lost on a lot of people there, which was a pity. 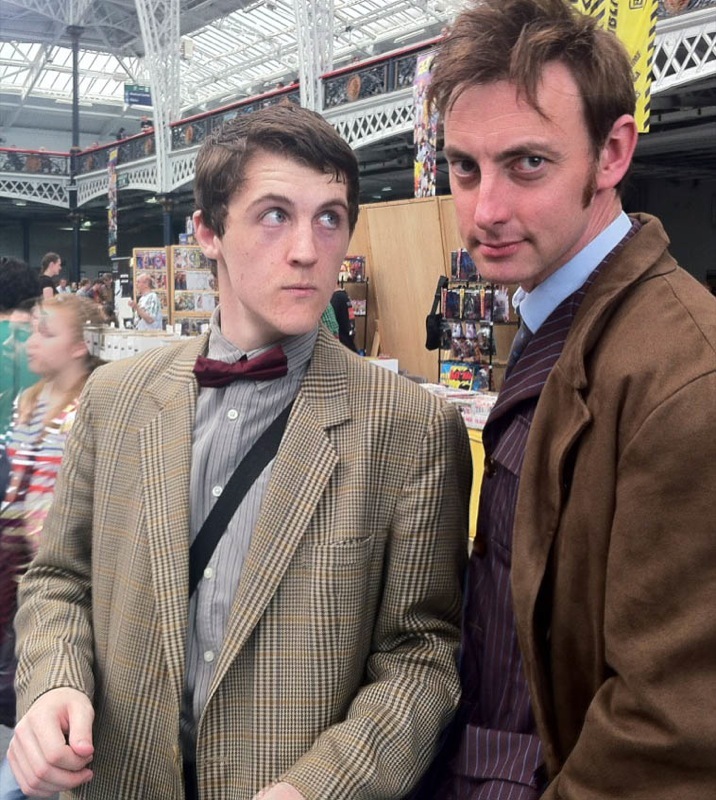 I was surprised to not see as many Matt Smith costumes around - you usually see more these days - but I was keeping the numbers up by wearing mine! 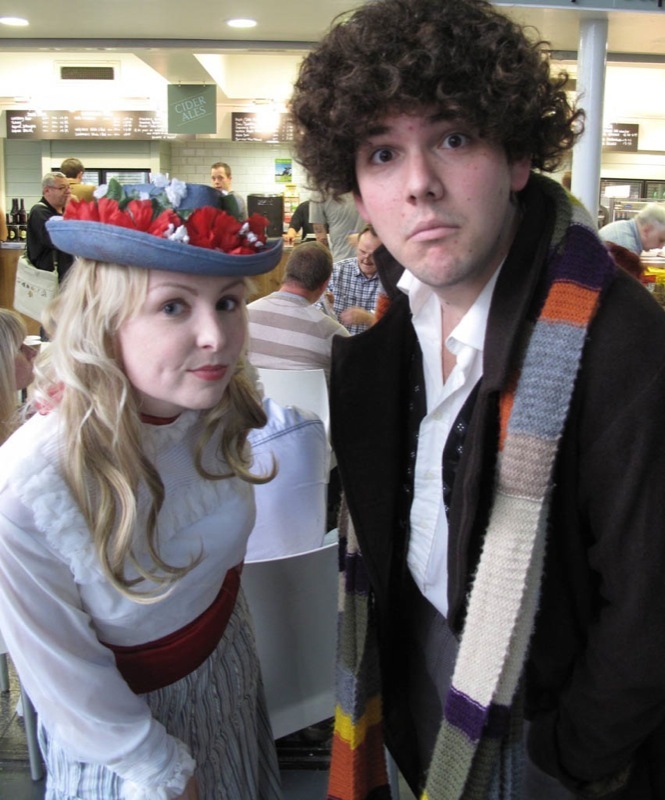 I got a snap of myself here with a TARDIS girl. 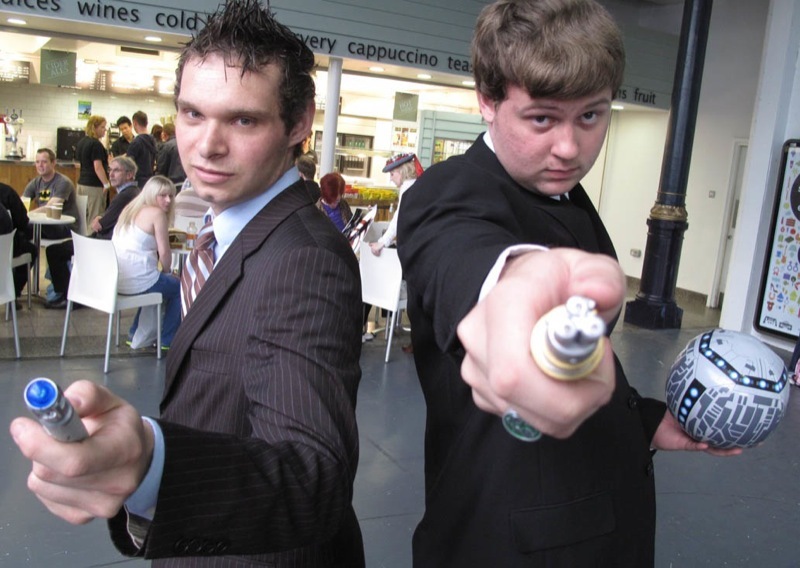 I also came across a Tenth Doctor and John Simms Master from Last Of The Time Lords, complete with inflatable Toclafane! 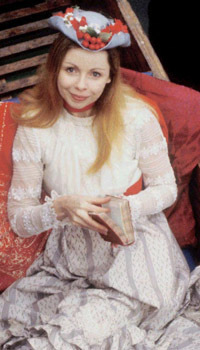 But my total favourite costume that I saw over the weekend was a Romana from the unfinished Tom Baker story, Shada. She had the costume down to a tee and totally looks the part. I'm seeing red Xs for a number of these photos. Is the problem on my end, or are other people also unable to view all the photos? 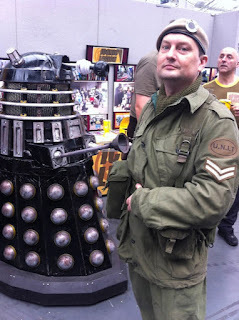 It looks like fun I'm hoping to got th LFCC in 2014. Me and my cousin are going to cosplay the doctor and romana. LFCC 2012 - product Who?